The Dodgers are back and are looking to bring another World Championship to Los Angeles. With dominating pitching and emerging young talent, LA Dodgers tickets are in high demand for another run at a title. Fighting off the Los Angeles Angels of Anaheim for southern California supremacy, the Dodgers will also look to stem off rivals the San Francisco Giants and the San Diego Padres in their pursuit of a division crown and a National League Pennant. The other MLB teams are also fighting for the crown and will fill up the Los Angeles Dodgers schedule for the season. Grab your 2018 Los Angeles Dodgers tickets and head over to "Chavez Ravine" to be a part of your team's home field advantage. There's not a bad seat in the house at Dodger Stadium, major league baseball's third-oldest park (behind only Fenway Park and Wrigley Field). Whether it be Friday night fireworks or sitting in the Dodgers all-you-can-eat bleacher section, Dodger tickets provide you with a great place to go and cheer on your favorite ball club! The dodgers were established in Brooklyn, New York in 1883. It was not until 1958 that the team moved across the country to Los Angeles becoming the Los Angeles Dodgers as we know them today. They are a professional baseball team that competes in the National League West division. Previously they played at Los Angeles Memorial Coliseum before they moved to Dodger stadium in 1962. The team has clinched the World Series 6 times. Their colors are blue, white and red. They have retied 10 numbers since the teams’ establishment. The Los Angeles Dodgers have a long deep rooted rivalry against fellow California team the San Francisco giants. It is known as the oldest rivalry in all of professional baseball (MLB). As both teams happened to move from New York to California at the same time for the 1958 season. The Giants are currently beating the Dodgers in World Series wins. Jackie was the first African American to play in the MLB. He broke the baseball color line when he started on the Dodgers. His first appearance in the league was on April 15, 1947. He earned the Rookie of the Year award, which since has been renamed the Jackie Robison Award in honor of Jackie. Dodgers is rumored to have come from the term “trolley Dodgers”. This was due to the fact that Brooklyn was filled with trolley cars through the boroughs of Brooklyn. Get your Los Angeles Dodgers tickets today! Our process for purchasing cheap Los Angeles Dodgers tickets is simple and fast. There are so many online ticketing sites, that it can be hard for customers to find the right place to buy Los Angeles Dodgers tickets at the cheapest price. At ScoreBig we think of our customers first and foremost. We offer daily deals for Los Angeles Dodgers events, so our customers can get the best seats for the best prices. ScoreBig will always go above and beyond to offer the cheapest Los Angeles Dodgers tickets on the market. The Los Angeles Dodgers schedule above, displays all available events for 2019 and 2020. Once you find the event that you would like to go to, click the red “Get Tickets” button. It is located on the right-hand side of the event listing, it will take you to an Los Angeles Dodgers event ticket page. ScoreBig's event ticket page will display all available Los Angeles Dodgers tickets for that event. On the event ticket page to help with your search for the right Los Angeles Dodgers tickets, use the filters at the top to select quantity, price range, and more. There is also an interactive seating chart so you can pick where you want to sit. When you are ready to buy a ticket, click on the listing, and you will be directed to ScoreBig's checkout page. Upon completion of the information fields, your order will be processed and your Los Angeles Dodgers tickets will be delivered via email, mail, or to your mobile device. What makes ScoreBig’s site stand out from the rest? We are constantly analyzing our competitors to improve our site, service, and prices. ScoreBig.com employees strive to offer the best process and experience to buy cheap Los Angeles Dodgers tickets. Our goal is to get you the best seats to Los Angeles Dodgers events. We offer daily discounts on our site and for special promotions check out our newsletter. If there are no Los Angeles Dodgers events currently available, you can use our search feature at the top of the page to see a list of all popular events going on near you. No matter your price point, we have all the best deals and discounts on Los Angeles Dodgers tickets. For more information on prices of Los Angeles Dodgers tickets and the schedule for Los Angeles Dodgers, check out our listings above. The last thing you want to find out is when the Los Angeles Dodgers event you wanted to go to is sold-out. Don’t worry in many cases ScoreBig has affordable tickets to sold out events. We sell tickets from GA all the way to premium seating and parking. Skip the scalpers in the parking lot and get your tickets online from top Los Angeles Dodgers ticket brokers. We get you in all events, buy your Los Angeles Dodgers tickets here from a brand that many trust and rely on for all their ticketing needs. ScoreBig offers a 100% money-back guarantee. If you have been in search of cheap tickets for Los Angeles Dodgers, ScoreBig by far is the best option. That’s why ScoreBig has more loyal customers than any other ticketing site. 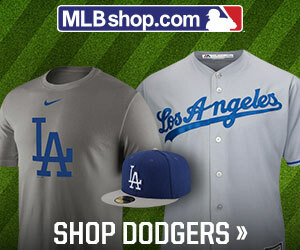 Shop at ScoreBig for safe and secure Los Angeles Dodgers event tickets.